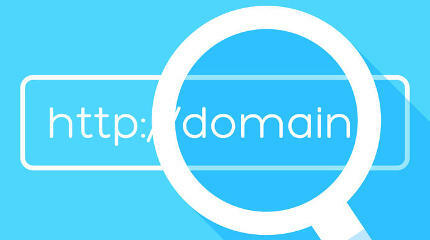 Get your Website Name Here! Your Cloud, Your Stuff, Whenever, Wherever! Cloud Based Voice, SMS, Video, SIP, IVR & Contact Hub Solutions. Ultimate in high-performance, speed, stability, isolation and customisation. Whether you have never run a website before or are a professional developer or webmaster we have a web hosting solution to meet your own unique needs! Engage your customers and site visitors with a great domain name..
No matter what your web hosting or IT solution requirements, we will have a product or service that matches your needs. Why Choose DS4A For your Web & IT Needs? DS4A is small enough to care and big enough to deliver. Based in the UK we have been providing outstanding services and solutions since 2007. We are proud to say our services utilise the Amazon Web Services infrastructure. This enables us to deliver remarkable reliability and performance globally. Should you need them, our experienced support team have a client and service driven enthusiasm and are the perfect match for clients either big or small. We really wanted to share with you what just a few of our customers have to say about us, and the service we offer. Setting up my website, and getting to grips with keeping all the recordings of my music projects safe and secure worried me. I needn't have, DS4A gave me all the help and support I needed to get set-up and running in next to no time. Below you'll find a selection of our most recent news and info articles. We are proud to have been chosen by every single one of our clients to provide them with the web hosting, domain names, email, security and all the other services they need to be successful, profitable and secure. While at the same time helping them to deliver what they do best for their clients and customers. Direct Debit is the safest method of paying regular or occasional commitments.